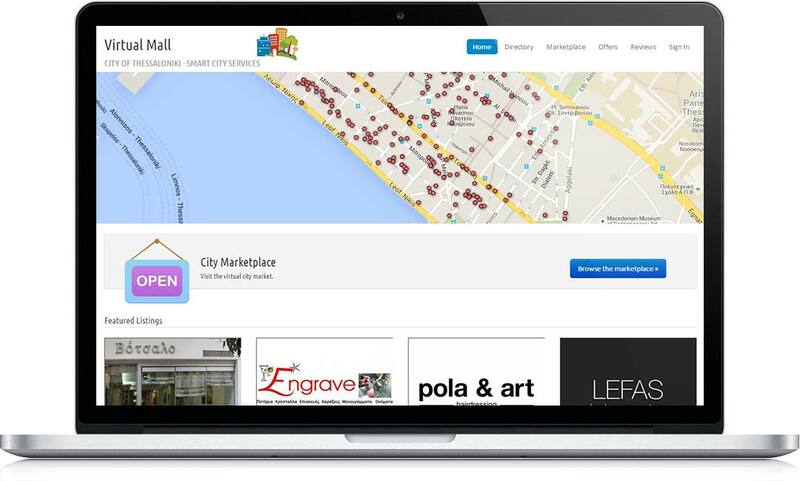 Local shops and professionals are presented on city’s map. 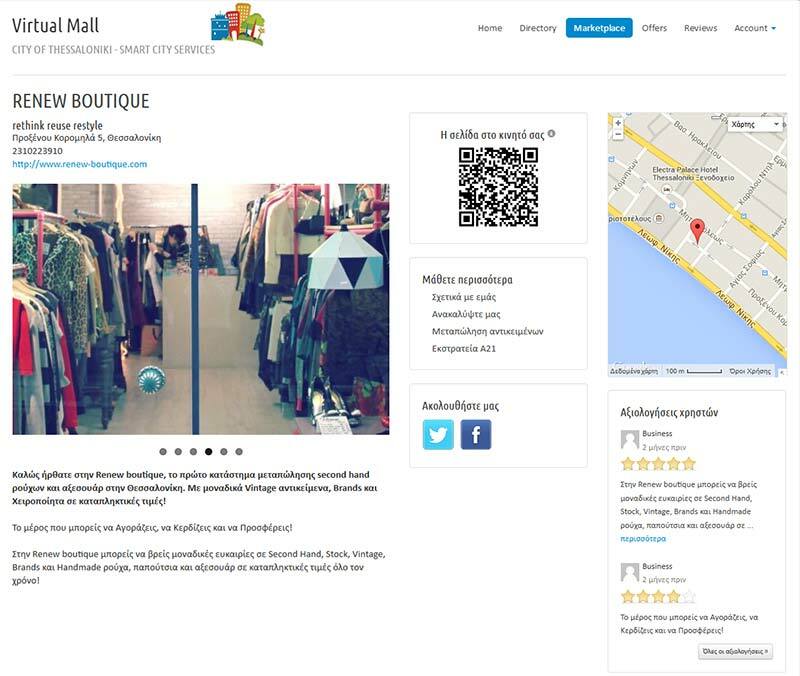 Local retailers create and manage their online stores. Shops can be organised per street or district. Retailers and Professionals provide special deals and discounts. Visitors comment and rate the offered products and services. Local shops and professionals can be easily found online. Retailers have an additional channel to market their products. Retailers could collaborate by offering combined deals. Coupons are highly effective sales tools for every type of business. Retailers understand the needs and connect with their customers. 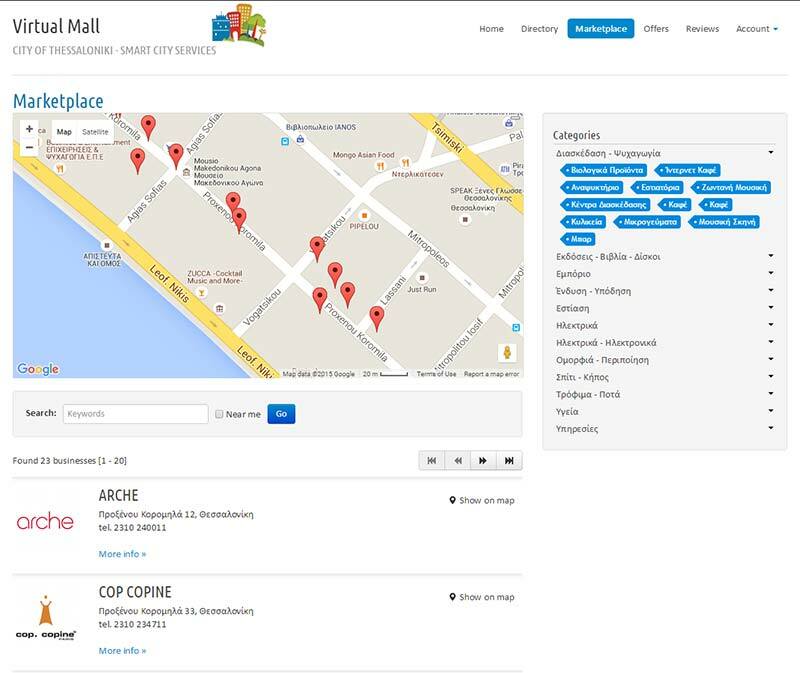 City Authorities can create a vibrant online community of shoppers and retailers that enables people to browse the shops by category/subcategory, locate them in the city map and discover the best products and services according to their needs. The online marketplace is a one-stop solution for companies wishing to present their shops and products on the internet. It is a free, highly effective, cost-friendly sales channel that bring a company’s products to large audiences quickly and efficiently. Each retailer creates and manages his/her own shop where (s)he can add a description, photos, videos, products pages and links to social media. Retailers make also offers and promotions. Customers are able to post reviews about the shop or the products. Each online shop is an additional sales channel with established audience of potential customers, providing businesses with unique opportunities for profit and success.